On this date, November 23rd, in 1843, Diana Jackson died of “old age” and is buried at Bethel Burying Ground. She had reached the age of 101 years. Of those interred, whose death certificates have survived, there are 19 individuals buried at the Queen Street cemetery between the ages of 90 and 103 years of age. This is astounding considering their life expediency was in the late 20s to early 30s! There is no reliable data at this point to determine with specificity the life expectancies of the Black men and women in 19th century Philadelphia. 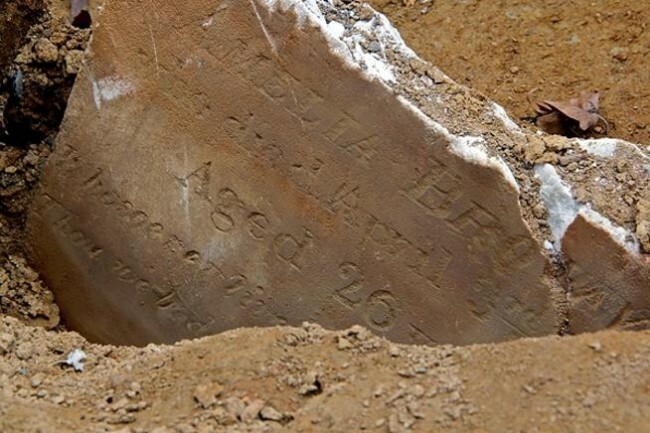 However, the First African Baptist Church Cemetery (FABC), located at 8th and Vine Streets in Philadelphia, was excavated and the remains examined during the 1980s. There is a 21-year overlap in usage between this cemetery and the Bethel Burying Ground – circa 1822 to 1843. There were 135 skeletons recovered and studied from the Vine Street graveyard. It was determined that the life expectancy of these individuals was 26.59 years according to anthropologist Dr. Lesley M. Rankin-Hill, author of A Biohistory of 19th-Century Afro-Americans: The Burial Remains of a Philadelphia Cemetery. This small book is a wealth of information on the 19th century Philadelphia African American community and the medical and socioeconomic struggles they endured. A must read for anyone who is serious about understanding the history of Black Philadelphians. In addition, Rebecca Yamin’s Digging in the City of Brotherly Love: Stories from Philadelphia Archeology offers vital insights into the FABC excavation and the community outreach of the archeologists handling such a culturally sensitive project. I used their template for community outreach in my initial contact with relevant “shareholders” concerning the future of the Bethel Burying Ground. ”The Swift Progress of Population”: A Documentary and Bibliographic Study of Philadelphia’s Growth, 1642-1859 is not for the casual reader. It is a valuable guide to the demographics of early Philadelphia. I feel that every time I open this book I discover something new and remarkable. Dr. Susan E. Klepp, the book’s author, is the former Professor of Colonial America and American Women’s History at Temple University.